Nice, healthy and proper teeth contribute to self-esteem , and thus the success and satisfaction in daily life. The correct position of the teeth in the jaw and the proper relationship between the upper and lower jaws allows smooth transfer of chewing forces and thus preserves and supporting gum tissue and the teeth of overload, excessive wear and degradation, and reduces or eliminates the problems of the jaw joint. Correctly positioned teeth are easier to monitor and maintain their hygiene which reduces the chance of tooth decay and periodontal problems. 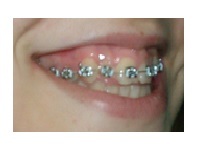 The first visit to the orthodontist should be a period of 7 years. In this age can be corrected by minor irregularities and predict the future. They can also be applied so-called mobile devices. functional devices and only in children who are still growing. 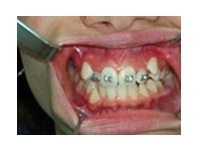 Cessation of growth and development are mainly fixed orthodontic appliances. There is no age limit for orthodontic appliance therapy and also in adult patients equally successful in correcting orthodontic irregularities of the teeth as well as in children. Orthodontic intervention within the surgery performed by Dr. Nadica Vučić top experts, specialists in orthodontics , and our patients are extremely satisfied with the approach and results.